All materials, including images, text, illustrations, designs, icons and written and other materials that are part of this Site are intended solely for personal, non-commercial use. You may download or copy the materials and other downloadable materials displayed on the Site for your personal use only. No right, title or interest in any downloaded materials is transferred to you as a result of any such downloading or copying. You may not reproduce (except as noted above), publish, transmit, distribute, display, modify, create derivative works from, sell or participate in any sale of or exploit in any way, in whole or in part, any of the materials or the Site. All software used on this Site is the property of Falcon37.com and protected by the U.S. and international copyright laws. The materials and software on this Site may be used only as a shopping resource. Any other use, including the reproduction, modification, distribution, transmission, republication, display, or performance, of the materials on this Site is strictly prohibited. 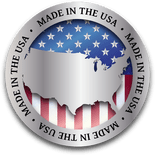 The materials in this Site are copyrighted and any unauthorized use of any materials in this Site may violate copyright, trademark, and other laws. If you breach any of these Terms, your authorization and rights to use this Site automatically terminates and you must immediately destroy any downloaded or printed materials. Users are prohibited from violating or attempting to violate the security of the Site, including, without limitation, (a) accessing data not intended for such user or logging onto a server or an account which the user is not authorized to access; (b) attempting to probe, scan or test the vulnerability of a system or network or to breach security or authentication measures without proper authorization; (c) attempting to interfere with service to any user, host or network, including, without limitation, via means of submitting a virus to the Site, overloading, “flooding,” “spamming,” “mailbombing” or “crashing;” (d) sending unsolicited email, including promotions and/or advertising of products or services; or (e) forging any TCP/IP packet header or any part of the header information in any email or newsgroup posting. Violations of system or network security may result in civil or criminal liability. Falcon37.com will investigate occurrences that may involve such violations and may involve, and cooperate with, law enforcement authorities in prosecuting users who are involved in such violations. You agree not to use any device, software or routine to interfere or attempt to interfere with the proper working of this Site or any activity being conducted on this Site. You agree, further, not to use or attempt to use any engine, software, tool, agent or other device or mechanism (including without limitation browsers, spiders, robots, avatars or intelligent agents) to navigate or search this Site other than the search engine and search agents available from falcoln37.com on this Site and other than generally available third party web browsers. 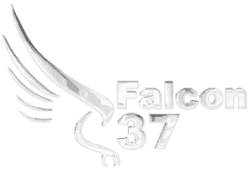 Falcon 37 Inc. and HABU® Logos are Registered Trademarks of https://Falcon37.com. All other trademarks and registered trademarks displayed on the site are the trademarks of their respective owners and are not intended to imply any endorsement or affiliation between Falcon 37 Inc and these companies. You agree to defend, indemnify and hold harmless Falcon37.com and its affiliates from and against any and all claims, damages, costs, and expenses, including attorneys’ fees, arising from or related to your use of the Site. All items listed are in stock and ready to ship. The product will be delivered between 3-5 days and will be shipped via chosen carrier. Falcon37.com further does not warrant the accuracy and completeness of the materials at this Site. Falcon 37 Inc may make changes to the materials at this Site, or to the products and prices described in them, at any time without notice. The materials at this Site may be out of date, and Falcon 37 Inc makes no commitment to update the materials at this Site. Information published at this Site may refer to products, programs or services that are not available in your country. Consult Falcon 37 Inc for information regarding the products, programs, and services that may be available to you. IN NO EVENT WILL Falcon 37 Inc., ITS SUPPLIERS, OR OTHER THIRD PARTIES MENTIONED AT THIS SITE BE LIABLE FOR ANY DAMAGES WHATSOEVER (INCLUDING, WITHOUT LIMITATION, THOSE RESULTING FROM LOST PROFITS, LOST DATA OR BUSINESS INTERRUPTION) ARISING OUT OF THE USE, INABILITY TO USE, OR THE RESULTS OF USE OF THIS SITE, ANY WEB SITES LINKED TO THIS SITE, OR THE MATERIALS OR INFORMATION CONTAINED AT ANY OR ALL SUCH SITES, WHETHER BASED ON WARRANTY, CONTRACT, TORT OR ANY OTHER LEGAL THEORY AND WHETHER OR NOT ADVISED OF THE POSSIBILITY OF SUCH DAMAGES. IF YOUR USE OF THE MATERIALS OR INFORMATION FROM THIS SITE RESULTS IN THE NEED FOR SERVICING, REPAIR OR CORRECTION OF EQUIPMENT OR DATA, YOU ASSUME ALL COSTS THEREOF. APPLICABLE LAW MAY NOT ALLOW THE EXCLUSION OR LIMITATION OF INCIDENTAL OR CONSEQUENTIAL DAMAGES, SO THE ABOVE LIMITATION OR EXCLUSION MAY NOT APPLY TO YOU.